Sacramento is the capital city of one of the largest and most influential states in our nation. This metropolis is home to many universities, scientific research facilities, governmental organizations, and thriving ministries. 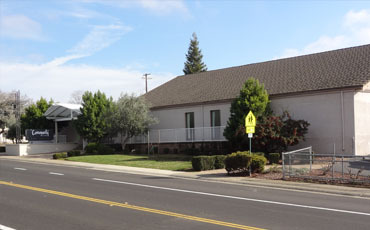 The RTB Sacramento Chapter exists to provide a safe and nurturing environment to explore the relationship between God’s general revelation (the book of nature) and special revelation (the book of Scripture). We welcome honest, thoughtful, and challenging questions regarding the interaction between faith and science. Our chapter endeavors to impact the local community by engaging young people, local churches, and Christian educators and by equipping chapter members and others through events with thoughtful speakers and topics. We invite believers and nonbelievers to join us to learn how scientific discoveries and philosophical exploration provide ever-increasing confidence in the Creator. Please join us for great presentations, lively conversations, and learning. Please check the calendar below for our meeting location and time.